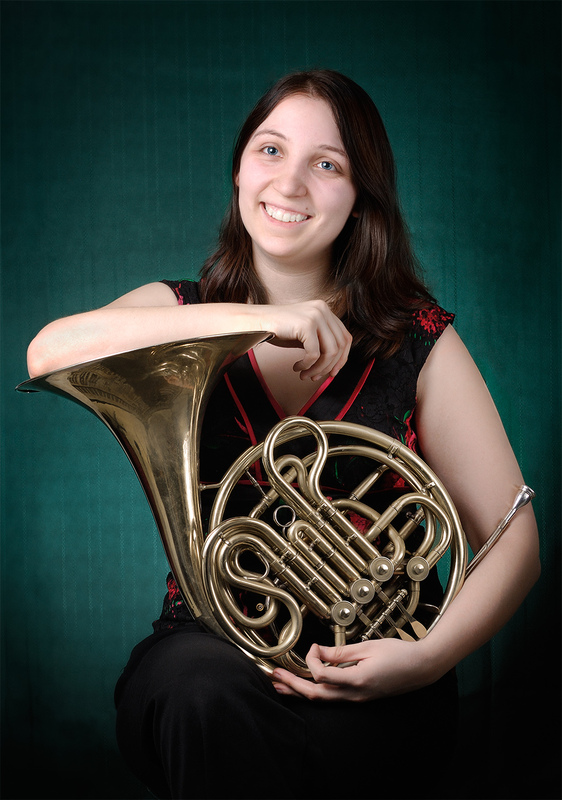 Due to injury, the French Horn solo will be performed by Iris Krizmanic. Iris Krizmanic, as well as being principal horn of the Scarborough Philharmonic, holds the position of third horn in the Niagara Symphony and plays with the Ontario Philharmonic under the baton of Marco Parisotto. She graduated from the Glenn Gould School (GGS), having studied with principal horn of the Toronto Symphony Orchestra Neil Deland and Associate Principal Christopher Gongos. She has had the privilege to work under many renowned conductors such as Bramwell Tovey, Uri Meyer, Mario Bernardi, and the late Richard Bradshaw amongst others. She had the wonderful opportunity to tour to China with the Royal Conservatory Orchestra as part of a cultural outreach program for the school, and even after graduating, she remains an active participant in the GGS orchestral and cham-ber programs. A multi-talented musician, Iris also plays the cello and has performed as lead soprano in various churches. As a musician in demand, she has had the opportunity to perform in musicals as a cellist, in oratorios as a vocal soloist, and perform chamber music with her brass quintet, Red Brass, and new woodwind quintet, Rosedale Winds. She was a featured soloist with the Greater Toronto Philharmonic and the Scarborough Philharmonic Orchestra (SPO) per-forming Richard Strauss’ first horn concerto and was showcased with her brass quintet, the Red Brass, with the SPO. She looks forward to the November 9th recital of her woodwind quintet, Rosedale Winds, playing some exciting contemporary works at the Canadian Music Centre in Toronto, and also to singing Bach’s Christmas Oratorio in December.